Scientia trading is the name given to a strategy I follow which is now producing consistent results. When I made a decision to fully understand and internalize the trading fundamentals of some of the worlds most successful traders it was one of the most difficult and challenging journeys I have ever faced. I gave up the herd mentality of following the usual systems being advertised on the internet and realized I had to develop something which resonated with my personality and fully followed the principles of systematic and probabilistic trading. During my first 5 years of trading I was finding it difficult to maintain consistent profitability because I was constantly searching for a strategy with a high win rate. I would then find what I thought was the perfect strategy only to find that when I went live the results simply didn't mirror what I had seen in the back test. It was a never ending cycle. 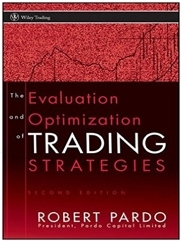 Roberta Pardo's "The Evaluation and Optimization of Trading Strategies" was a key work that helped me to completely change my mindset. It introduced me to significant stress testing techniques as well as understanding the dangers of over optimizing (curve fitting) a strategy until it becomes completely flawed. I also realized that the majority of the worlds most successful traders have win rates which are less than 60% which then led me to understanding the importance of risk-reward ratios. "Scientia" is the greek behind the word "Science" and the term Scientia Trading is an emphasis on a style of trading which is systematic and scientific in nature, founded upon a number of mathematical principles which include the law of probability, the risk of ruin, the law of streaks and the law of large numbers. This type of trading is typically defined in financial markets as quantitative trading, a methodology based on quantitative analysis, which relies on mathematical computations and number crunching to identify data patterns which can lead to trading opportunities. As quantitative trading is generally used by financial institutions and hedge funds, the transactions are usually large in size and may involve the purchase and sale of hundreds of thousands of shares and other securities. However, quantitative trading is becoming more commonly used by retail investors who have specialist expertise in statistics and probabilistic trading. This website is dedicated to providing you insights into the principles that I digested which helped in my transformation.